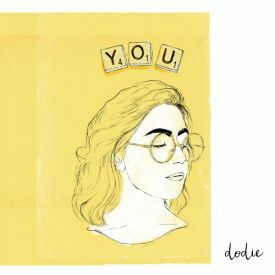 Dodie's third ep is her best yet. While I've never been a fan of Dodie's instrumentals, here they carry weight, and although subdued, are definitely important to the songs. Before they've felt more like a vessel to carry the lyrics, and since I have no real interest in what she has said before, it missed me completely. But here she grips me by the throat and makes me listen to her, at least on a couple of the songs. And that's the problem with Human, it could have been so much more. While I really like cuts like Monster and If I'm Being Honest, Dodie just doesn't venture far enough off her usual path to create truly interesting music. 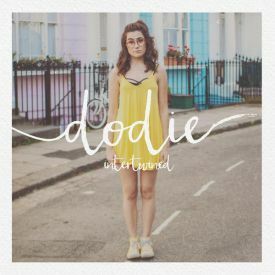 I'm sure any fan of Dodie will love this, and I'm certain that she partly makes music for the fans that already love her brand of breathy, playful folk pop- but speaking as a non fan I don't find much reason to return to this ep. Still, Human shows growth, and growth is important to any artist, especially Dodie. The good tracks are legitimately great, and I'm really impressed by them, I just wish the rest of the ep would match that quality.